Decentralization won’t solve our problems. Maybe multi-centralization can help? I’ve had many conversations recently with very well meaning people who believe that if we just decentralize everything, it will fix the internet—and perhaps all of society! Decentralize social networks, decentralize money, decentralize the world…if only it was so simple. This is the “magical decentralization fallacy” — the mistaken belief that decentralization on its own can address governance problems. What do I mean by governance problems? Things like misinformation and harassment. I deeply wish that decentralization was a silver bullet that could “fix” this—that could ensure that misinformation wasn’t rewarded with attention and harassment wasn’t rewarded with silencing—but instead it could actually lead to a far worse world. What decentralization does is re-distribute power. That can sometimes be exactly what is needed—but in other cases it can exacerbate the original problem! In the case of misinformation and harassment, it re-distributes power from platform governance—e.g. Facebook rules and algorithms; to “publishers”—in this case misinformers and harassers. Sure, Facebook is far from perfect—it has been deeply negligent, and I’ve been working to address this from mid-2016, when I made online misinformation my focus. But at least it can do something to improve the situation. There may be much less that one can do with decentralized systems. 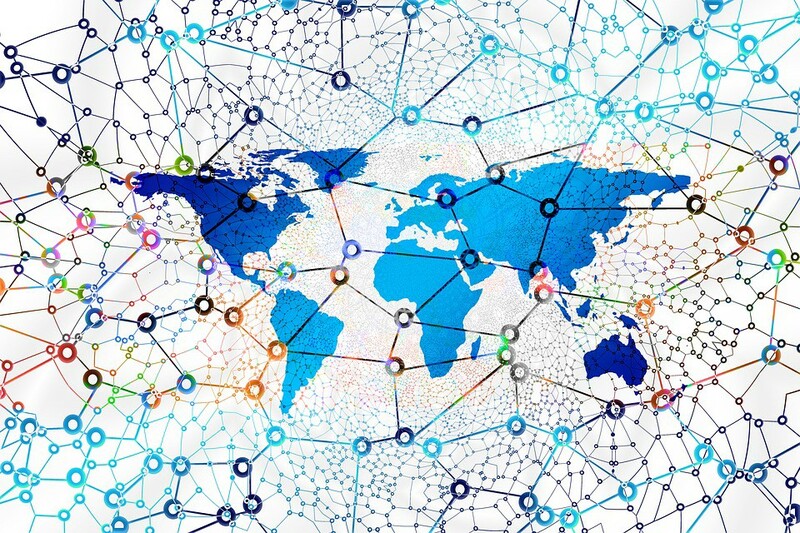 Consider another form of decentralization that seeks to avoid human governance—blockchain based cryptocurrencies like Bitcoin. 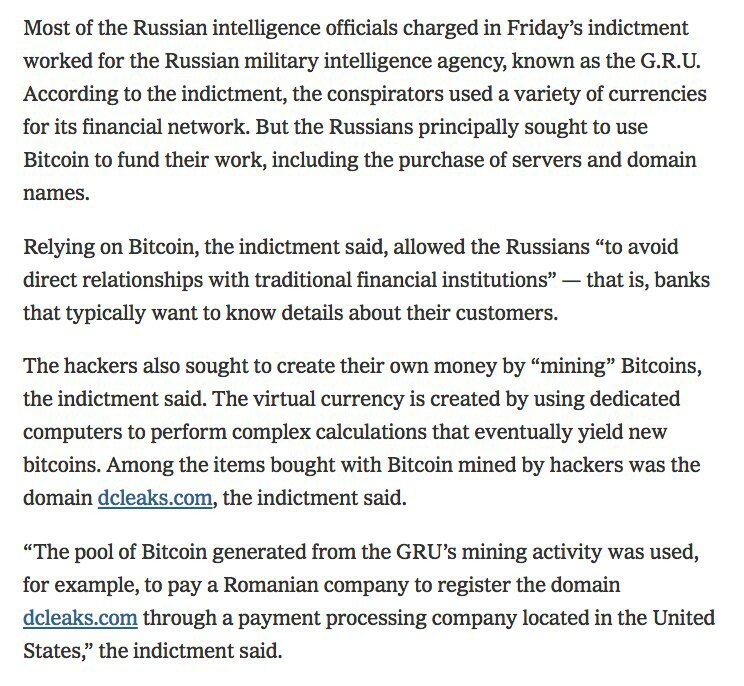 Bitcoin was used by Russian agents to “avoid direct relationships with traditional financial institutions”—because traditional institutions are mandated by governance requirements to know details about their customers. A decentralized system was used to avoid oversight and governance—in order to covertly fund the manipulation of voters. This doesn’t mean bitcoin or decentralization is evil—but it’s clear that it isn’t always good. That said, decentralization is clearly helpful in cases where governance and policing infrastructure are tyrannical. But often that isn’t the crucial problem or threat. It definitely isn’t the case in democracies where misinformation and harassment are being used to harm public discourse. In those cases, decentralization just turns a hard centralized problem into a harder coordination problem. I’m not convinced. There are ways to avoid tyranny while maintaining centralization and monopoly. Most notably, constitutions are specifically structured to avoid tyranny — and are generally based on a system of “overlapping centralizations” with checks and balances. The legislative, executive, and judiciary all “monopolize” governing the same people—and together also have a monopoly on violence. This suggests a potential third path—what if we also applied a constitutional structure to governing and policing online spaces — which these days can be as important as offline spaces. For those techie enthusiasts who think “constitution” is so 1770’s and we need more modern thinking—here is a potential buzzword almost as short as “decentralization” and that attempts to capture the idea of separation of powers: multi-centralization. So what exactly does a Facebook constitution look like? And how can we create the competing powers of a multi-centralized social network? This is a slightly fleshed out version of a Twitter thread I published on July 13th, 2018. To follow my work, find me on twitter at @metaviv or sign up for my mailing list at list.aviv.me. I plan to dive deeper into the specific failure modes of current systems, and where decentralization helps and hurts.